The following statement was released by Saint Benedict Center on April 23, 2007, the Feast of St. George. 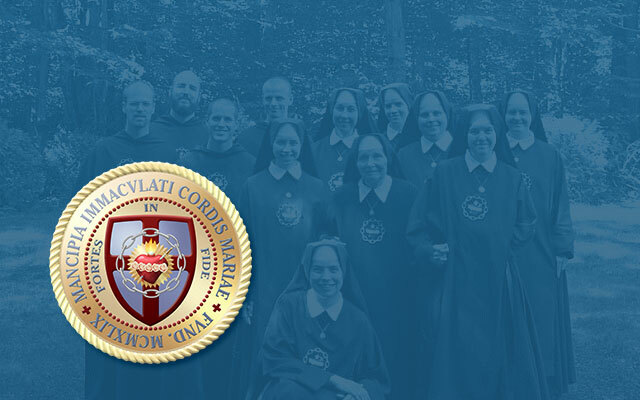 There is now afoot a concerted effort to destroy our traditional Catholic apostolate. Local detractors are teaming up with the Southern Poverty Law Center (SPLC), which has already smeared us. The result will likely be an article that will profile us as a crazy cult trying to take over a quiet New England town. A vicious combination of letters to the editor, blogs, whispering campaigns, local political intrigue, mendacious letters to a state agency, and the SPLC’s $60-million-plus budget for demonizing people, are all coalescing to destroy our reputation, our finances, and our hopes of even keeping our doors open. Believe it or not, all this began with a simple effort to build a new chapel / school building on our property. For the last two years, we have appeared before our Town Planning Board to build a 10,300 square foot chapel / school building. There have now been about 6 public hearings on the project, draining our time, money, and other resources. Several residents who were against this project teamed up against us, went to the local press, and started a campaign of lies and rumors — a sort of whispering campaign — which created and fostered a vicious mythology surrounding our priests, religious, and layfolk. At around the same time, the SPLC produced a series of articles in its journal, The Intelligence Report, which maligned several traditional Catholic groups, including ours. Our local enemies used this to portray us as a dangerous cult. These detractors include not only residents of our town, but also liberal academics and public high school teachers in nearby Keene and Swanzey. The Keene Sentinel began a series of articles covering the local Planning Board controversy. Then they did the very foolish thing of starting two blogs concerning us on their web site. This allowed people with an agenda to attack us, even anonymously or under assumed names. The blogs were not those of some private individual; they had the respectability and high profile of the Keene Sentinel, which is the newspaper in this region. The local mythology about us was spewed on the blogs. We were accused of lying and fostering hatred; were called “unbalanced,” “dangerous,” and “a cult”; and had monikers like “pistol packing priests” thrown around about us. After much protest was sent to the Sentinel, they finally pulled the worse of the two blogs down. The other still remains and is still causing damage. These blogs sent ripples to other blogs, fostering more hatred, lies, and slander. The whole mess keeps growing. Then, we found out for certain on April 19 that the SPLC is doing another story on us, this time an apparently more in-depth piece written by a senior writer. This article will cover the local controversy and is virtually guaranteed to portray us as Jonestown with Rosaries. Going from what our local enemies have said in our regard, and the SPLC’s penchant for manufacturing hate to raise money, we can come to no other conclusion as to the article’s outcome. Besides our own faithful, there are other local residents — several non-Catholics among them — who find this whole affair outrageous. They have tried to defend our reputation, but they are being drowned out by the screeching of the liberal fanatics who want us destroyed. If unchecked, the SPLC piece will serve to embolden our local enemies and invite yet more media hack jobs on us. We are small, poor, and have few resources. In short, we are sitting ducks for all this. Fair media coverage, both local and national, would help offset the damage. We are praying and trusting that our Blessed Lord and our Blessed Lady will not leave us abandoned. We also know that we have to fight the good fight.